As some of you may remember, last Summer I travelled around Europe in order to know some iconic places related to our sport. One of those places was Valkenswaard, where I spent a day at one of the most prestigious events of the sport: the Longines Global Champions Tour (read my trip diary about this event here)! That experience was truly remarkable for me - it was one of the best days of my life because I was able to: meet Stal Tops, the dream equestrian estate of Jan Tops and Edwina Tops-Alexander; watch the Grand-Prix; having lunch around all the riders; do a little shopping at the shopping village and - my favourite part - meet my idol Ludger Beerbaum (he was super nice, I even had the chance to take a photo with him!) 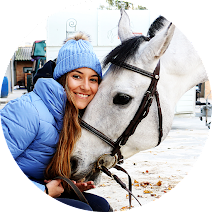 and Luciana Diniz, the only rider who represented my country at the GP (I thing she wasn't really expecting to hear someone calling her in Portuguese! Got a pic with her too.). «Spectators and guests will enjoy exceptional surroundings ushering in a new era for the sport in this prime location in Europe. 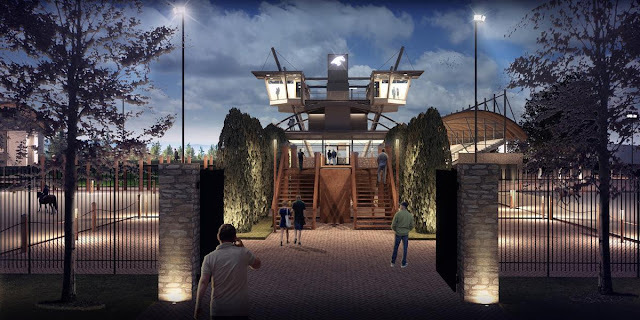 A beautiful and dramatic raised wooden walkway will take VIP guests to a range of stunning hospitality boxes and lounges with exclusive interior design featuring high quality luxury materials. Bespoke wood and stone structures will include the breathtaking “Spider” reception area where guests can admire art and sculptures. There are privileged views of the immaculate competition arena from the elevated Sky Box hospitality suite where guests can reserve seats to enjoy Michelin-standard catering.», said LGCT. I don't know if I will be able to attend this 12nd round of the 2015 tour - I really, really, really hope so! - but I am super curious about everything! Is anyone going? What do you think about these changes in Valkenswaard?